Holly Seddon is the author of the new suspense novel Don't Close Your Eyes. 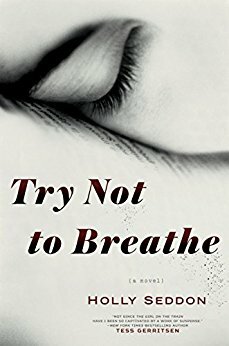 She also has written the novel Try Not to Breathe. 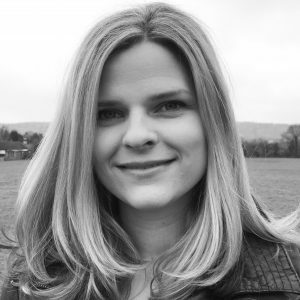 She previously worked for a variety of newspapers, magazines, and websites. She grew up in England and now lives in Amsterdam. Q: How did you come up with the idea for Don't Close Your Eyes, and why did you decide to focus on the relationship between twins? A: The initial spark for the idea was around someone who was once very successful and outgoing and is now confined to their house, watching the neighbours and hiding. I live in Amsterdam, where the apartment blocks face each other and – thanks to the Dutch disinterest in curtains – you can see people’s lives in minute detail. I didn’t realize at the time how much that fed into my idea. I was childhood friends with a pair of twins who were total opposites. Both girls but one tall and dark, one smaller and blonde, very different faces. You would never have guessed they were related, let alone twins. I found this fascinating, because twins on TV were always identical. And I liked the idea of sisters being contemporaries as well as relatives, it adds an extra social tension, I think, but it’s also an interesting way of showing contrasts in character. Q: Why did you decide to write the chapters from Sarah's perspective in the first person and from Robin's perspective in the third person? A: Partly because it’s helpful to the reader, I hope, to recognize quickly whose chapter it is. Also, with Robin being housebound, I think her chapters could have been a little too closed and tunnel-visioned if we could only know her thoughts. With Sarah, I wanted the reader to really get to know her. She’s pretty reserved and tries hard to blend into the background, so seeing her in the third person may have made her seem flat. Whereas she actually has a rich emotional life underneath. Q: Did you know how the novel would end before you started writing it, or did you make many changes as you went along? A: I knew the basic shape and the major plot points, but I did tweak it in several (many!) edits. I also took out some additional points of view that clogged things up. A: I don’t mind admitting that I struggle with titles. My suggestions just aren’t ever as good as my editor’s suggestions – "Don’t Close Your Eyes" came from my UK editor, Sara O’Keeffe. A: I’ve just finished the edits on my third novel, The Vow, which will be out next year. I’m excited to get it out there because – as with Don’t Close Your Eyes - I’m so fond of the characters, and also because it’s breaking new ground for me as a writer. And I’ve just started drafting my fourth novel. It’s been carefully plotted and there’s a fair bit of research to do, but I’m desperate to write it every day – which is a good sign. 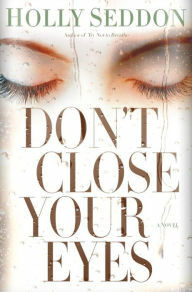 A: Don’t Close Your Eyes is out 4 July and I really hope readers will enjoy it. If anyone would like to find me online, I’m @hollyseddon on Twitter, @hollyseddonauthor on Instagram and my Facebook page is https://www.facebook.com/hollyseddonauthor.